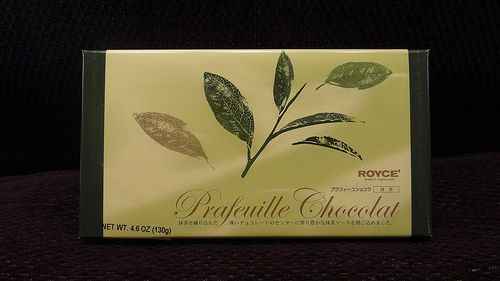 Posted on November 22, 2013, in Food and tagged candy, chocolate, chocolatier, Food, green tea, Japan, japanese, maccha, matcha, Prafeuille, royce, sugar, Sweets, white chocolate. Bookmark the permalink. 1 Comment.